Equipment: DW-UHF-4.5kw induction heating system, equipped with a remote heat station containing two 0.33 μF capacitors (total 0.66 μF) An induction heating coil designed and developed specifically for this application. 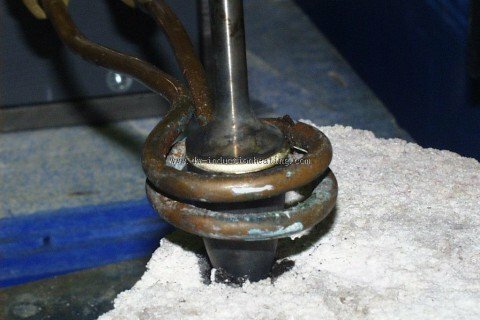 Process A multi-turn helical coil is used. The part is heated to determine the time required to reach the desired temperature and required heat pattern. It takes approximately 30 – 45 seconds to reach 1400°F (760°C) depending on the various part sizes. Flux is applied to the entire part. A braze shim is sandwiched between the steel shank and carbide. 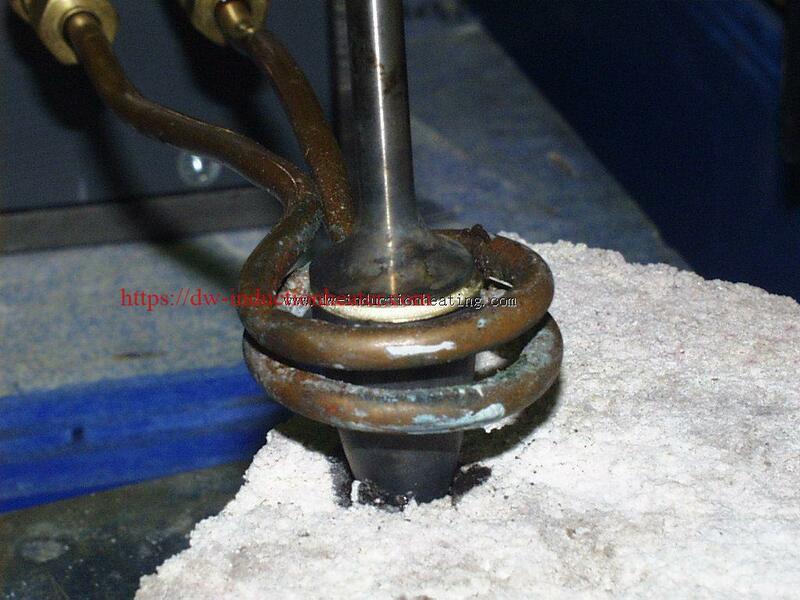 Induction heating power is applied until the braze flows. With proper fixturing, concentricity of the part can be achieved. Results/Benefits • Repeatable, consistent precise heat.